Sound financial processes deliver accurate data to an organization’s decision makers throughout the year. With proper planning, key stakeholders will receive their information early enough to take corrective actions. 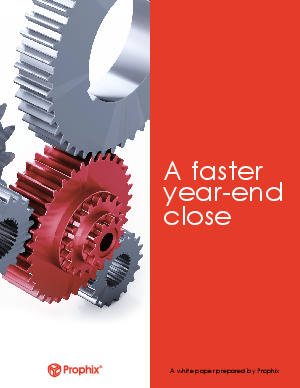 With that in mind, Prophix presents the complimentary white paper, “A Faster Year-End Close”.